Anyway, back to oats and today’s recipe. I bought some old-fashioned oats the other day because I wanted to try something new and this pack was on offer at the supermarket. 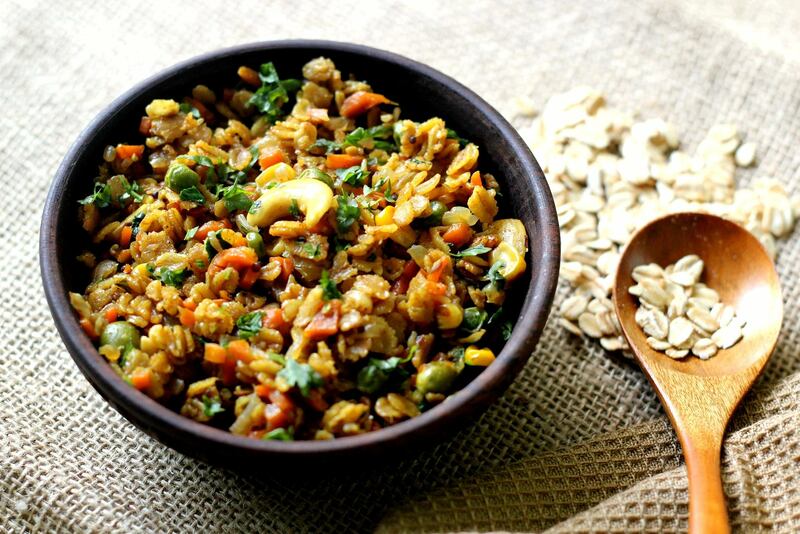 Unlike the regular quick cooking variety, these oats have some texture and shape and are perfect for experimenting with savoury versions. 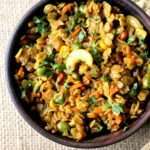 And yes, this recipe is also perfect for those who like a nice savoury bowl of breakfast but are bored of the usual poha/upma kinds. So do give this one a try won’t you? 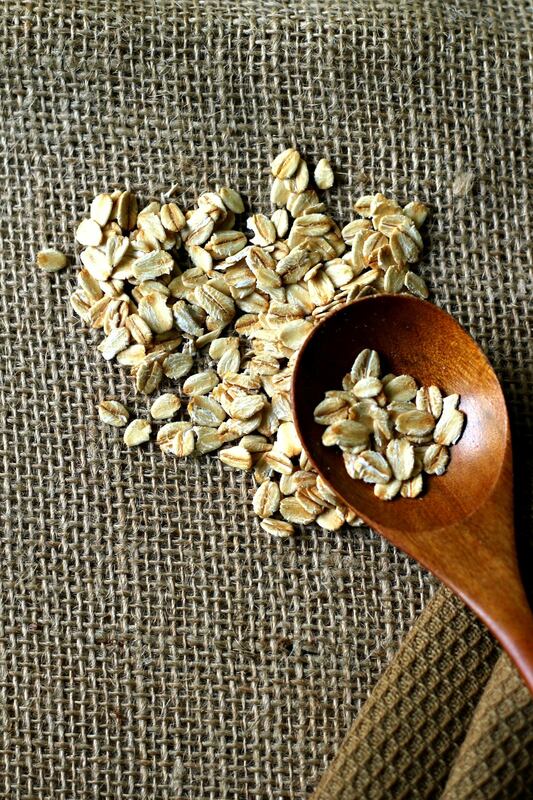 Love oats? 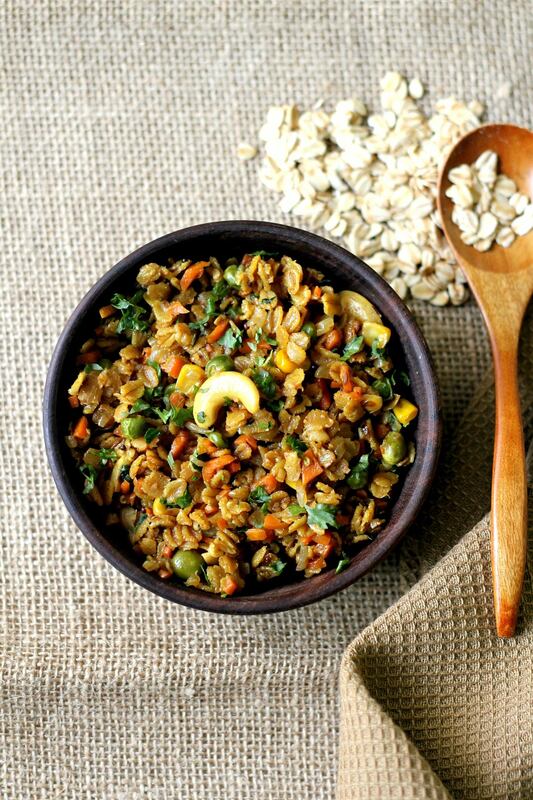 Get the goodness of oats in these recipes! 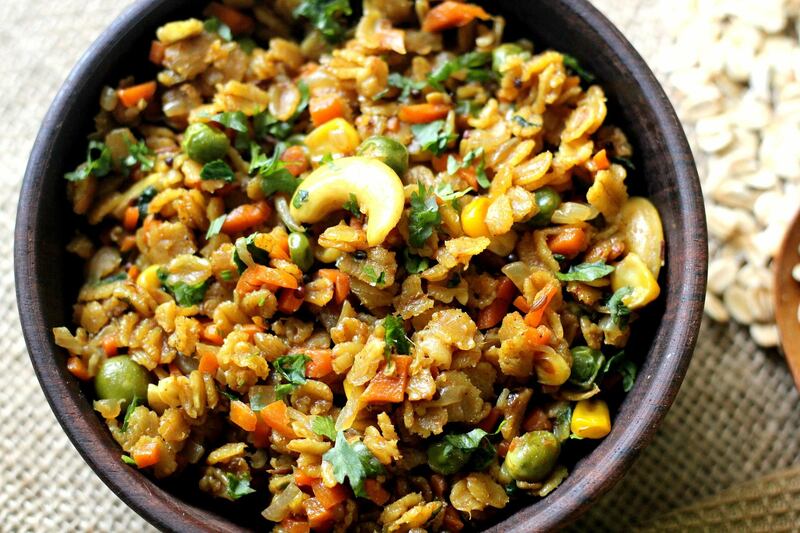 This power packed bowl of savoury oats with the goodness of mixed vegetables is the perfect way to kick-start your mornings! To the same pan add some more oil and let it heat. Then add the mustard seeds and let them splutter. Reduce the heat and toss in the cashew nut halves and let them fry gently till golden. Add the freshly boiled water and salt to taste. Let the mixture come to a boil, then reduce the heat and cover the pan. Simmer and cook till done. Mix everything well and serve hot. 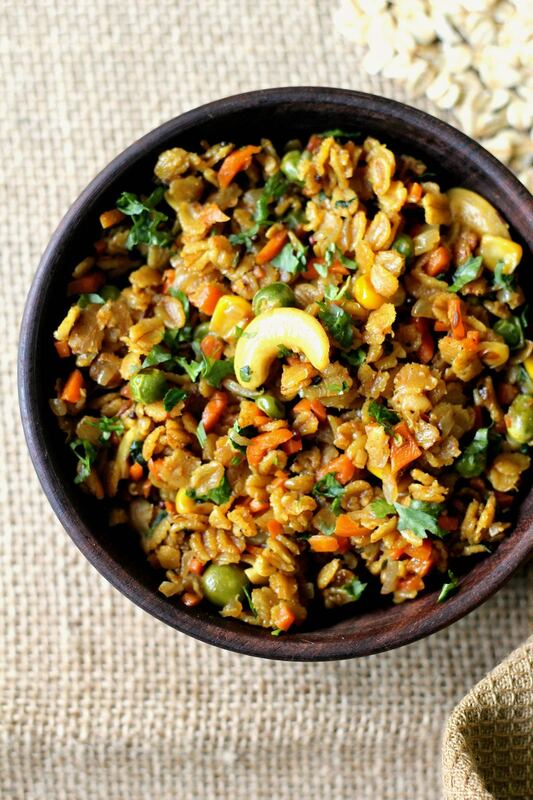 When do you add the roasted oats? Sorry I missed that! I have updated the recipe. You can add it in step#4, before adding the boiling water!